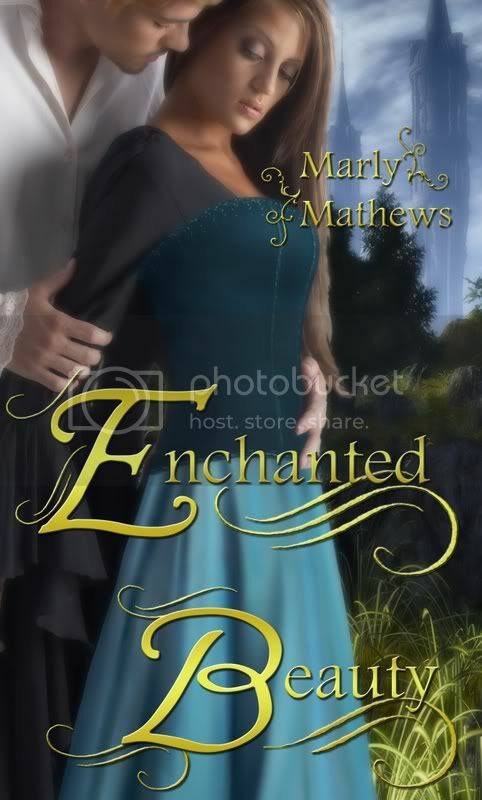 Marly Mathews: Cover for Enchanted Beauty! You are really going to town with so many releases. Thank you for the compliment on Enchanted Beauty's cover! Yes, I am going to town with the releases. I'm very fortunate. OMG Marly, your cover is AWESOME!!! I love it! If you ever wnat me to showcase it for you just let me know. Hopefully by then BLOGGER will let me download photos! Ugh, with Myspace and Blogger acting crazy I am about to go nuts!! But, I am doing a happy dance for you- the cover is FAB! Thank you so much, Andrea! I love your reaction! I've gotten nothing but positive feedback on this cover! Alex DeShanks did such an awesome job! I definitely want you to showcase the cover! Thank you for offering! I think you usually showcase them once the book has been released, right? Thanks again for the compliment, Andrea! I really appreciate you visiting my blog!